The Galaxy A70 is no Galaxy A80. By that, I mean the phone is not as radically different from the A-series flagship, and compared to that, it can be easily mistaken for another Galaxy A-series phone. But that doesn’t mean the Galaxy A70 shouldn’t have what it takes to be a reliable device. Here’s our first take of the phone. 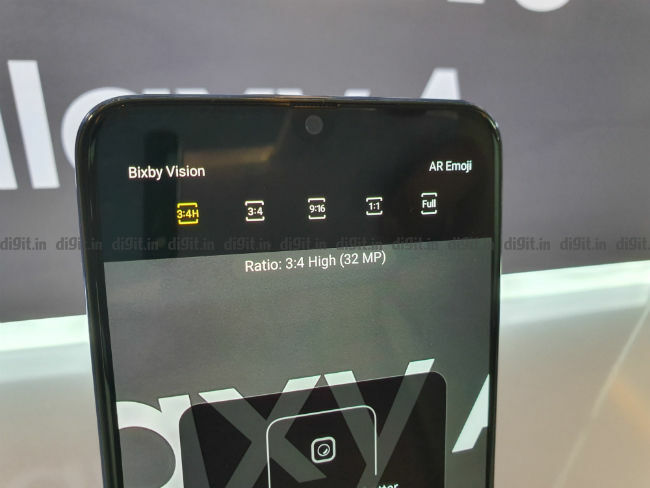 Along with the Samsung Galaxy A80, the company also announced the Galaxy A70 simultaneously across three cities in the world. I happened to be at the launch event held in Bangkok and managed to spend a little time with the Galaxy A70 a day before launch. The Samsung Galaxy A70 is not as bold a statement as the Galaxy A80. It follows the lines of other new A-series devices like the Galaxy A30 and the A50 if not for the triple camera system and new colour options. There's an Infinity-U display with a U-shaped notch on top of the display. 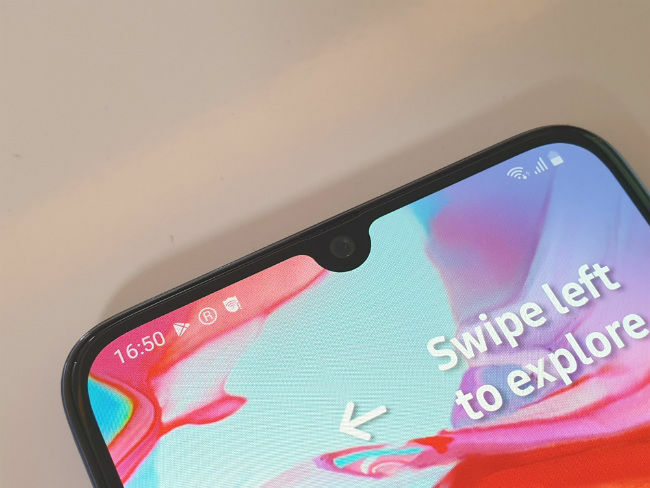 The notch houses the front camera with the earpiece on top of it. 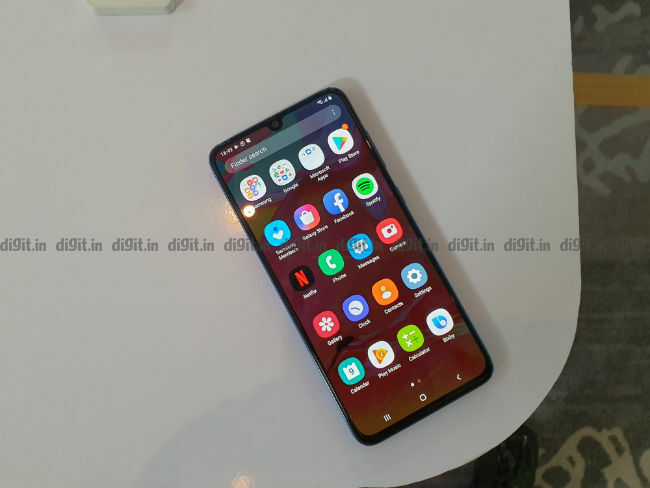 The display on the Galaxy A70 is just as massive as the one on the Galaxy A80 and this one too is a 6.7-inch Super AMOLED display with 1080x2400p resolution and 20:9 aspect ratio with similar bright and vivid colours as the Galaxy A80. While the phone's design is more aligned towards the lower-priced A-series devices, features like the display, in-screen ultrasonic fingerprint sensor and the light-scattering colour treatment bring the Galaxy A70 a lot closer to the top-of-the-line Galaxy A80. Despite being made of glass, the phone did feel a little plasticky to hold, but the edges on the back are rounded to offer a better grip. Thanks to the large display, it's quite unweildy and cannot be used single-handedly. Thankfully, there's no dedicated Bixby button. Like every A-series Samsung annoucned this year, the Galaxy A70 is also centered around the camera. It may be as radically different from the one on the Galaxy A80 but the 32-megapixel sensor with f/1.7 aperture sounds almost as formidable as the 48MP camera sensor. The 32MP camera on the back takes 8MP photos by default, while the high-resolution mode can be turned on from the options in the camera UI. This is paired with another 8MP ultra-wide camera with a 123-degree field of view with an f/2.2 aperture and on top of that, there's a 5MP depth sensor for portraits. On the software side there's Samsung Scene Optimizer with in-built night mode that kicks in automatically as well as flaw detection where the camera will prompt you to take another shot if there's shake or blinking. On the front, there's another 32MP sensor with an f/2.0 aperture which should please users who want to live stream as the 32MP sensor on both the front and the back are essentially the same. Curiously missing were features like portrait video and the ability to add different depth effects to the portrait photos. Samsung would also have done well to include a telephoto sensor instead of just a depth sensor. Under the hood, the Samsung Galaxy A70 runs on Qualcomm Snapdragon 675, the same chipset that powers the Xioami Redmi Note 7 Pro in India. It's Qualcomm gaming-centric SoC in the 6-series, and based on the benchmark results we have noted in our labs, this should have no problem delivering a smooth experience. The chipset is paired with options of either 6GB or 8GB RAM and 64GB or 128GB storage. That's plenty of storage but it can also be expanded by upto 512GB with an SD card. Inside, the Galaxy A70 works on Samsung's OneUI, which is increasingly becoming one of my favourite interfaces to use, based on Android 9. The UI offers smooth transitions, gesture navigation and more. There's also Samsung Knox for security. There's also a massive 4,500mAh battery that keeps the light on and can be fast-charged with the adapter inside the box. In my little time of usage, there wasn't any noticeable hiccups. The phone felt smooth to use, but my eye remained on the Galaxy A80 simply for how cool the swiveling camera mechanism looks. 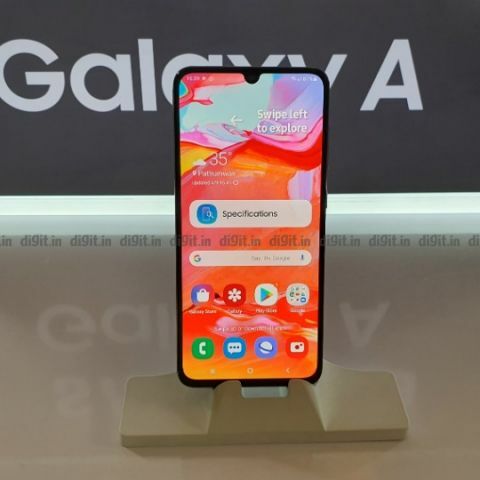 The Samsung Galaxy A70 sits between the Galaxy A80 and the rest of the A-series phones. The phone, in a way, offers a good middle ground to those who prefer the traditional form factor with fixed parts but with a high-resolution camera on both sides. The Galaxy A70, I was told, will be available in India sooner than the Galaxy A80. Disclaimer: Samsung paid for the author's travel and stay in Bangkok.